Why is it that some of the best ingredients for fighting acne have to be so … smelly? Lots of different ingredients come to mind, but one that has a distinct smell is immortelle (specifically, helichrysum italicum). It’s somewhat stale and bitter, and while it’s not absolutely horrible, it’s not exactly perfume-worthy. Artfully blended, though, immortelle-based toners can be pleasant to use, and Fig + Yarrow has made its Immortelle Yarrow Rockrose Complexion Water just that — in addition to being effective at calming breakouts. 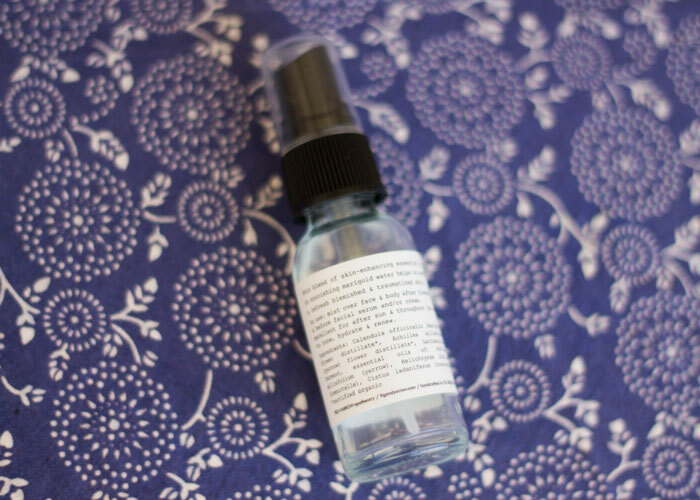 Upon first use, even in a small trial bottle, I noticed that Fig + Yarrow’s Complexion Water delivers a lovely, fine, abundant mist that lightly covered my whole face with just two pumps. That’s the first test a mist has to pass for me — please don’t shoot organic goodness straight into my eyeballs! Next came the smell. A combination of rockrose (warm and sweet scent) and yarrow (sweet and floral) give this immortelle-based toner a nice balance of yin and yang; not too powerful and pungeant, yet not too sickly sweet. 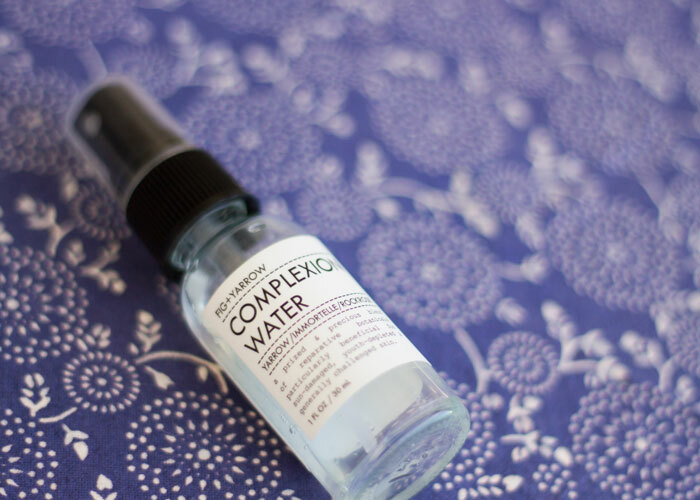 I found myself misting myself a lot with this beautiful complexion water (it lasted about three weeks with regular evening skin prep), and the scent soothed me without lingering or overpowering other products in my routine. 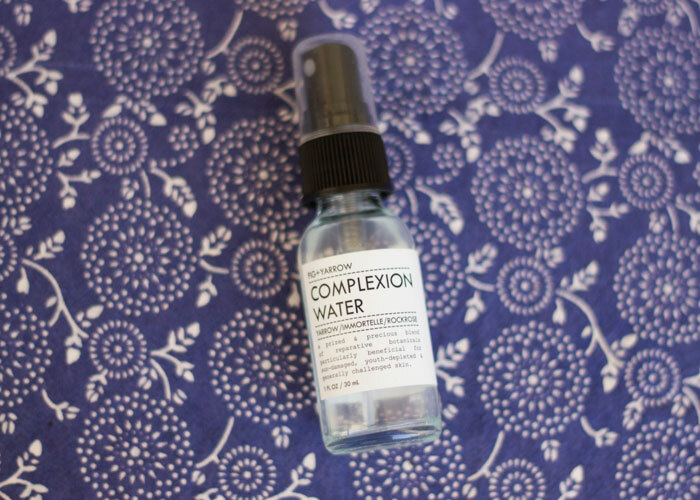 As far as efficacy, Fig + Yarrow’s Complexion Water in Yarrow Immortelle Rockrose has made it into my arsenal of favorite toners for acneic skin. I already knew that my skin responded well to immortelle (read: fewer breakouts, clearer complexion, less redness), but what puts this toner above my other beloved immortelle-based toner is that it just smells good. And we all know we’re more likely to use something more often — and gain the benefits of it — if it’s actually a joy to use. I will without a doubt repurchase this mist. At $34 for a 4-ounce spray bottle, it’s one of the more affordable organic face mists on the green beauty market today. Have you tried anything from Fig + Yarrow? Do you like the scent of immortelle? What toner ingredients does your skin respond well to? Tell me in the comments section!